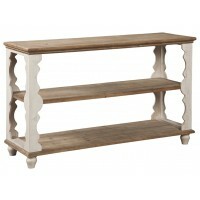 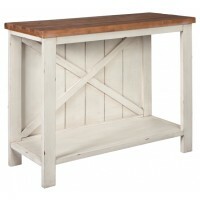 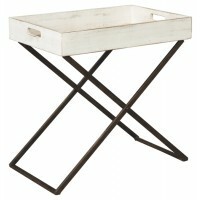 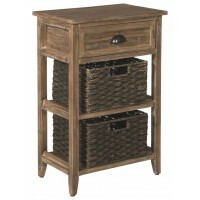 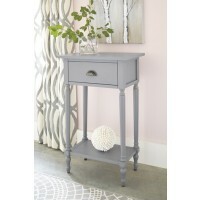 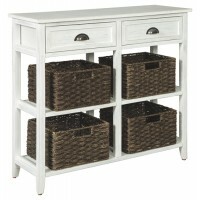 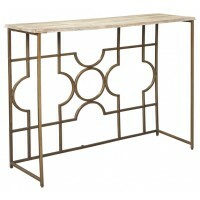 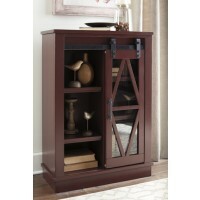 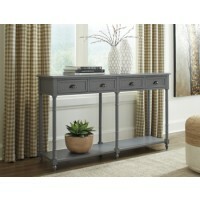 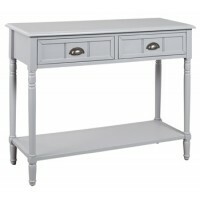 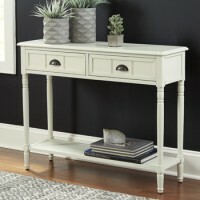 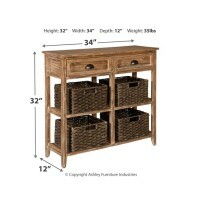 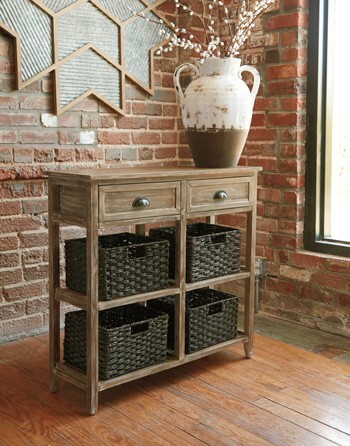 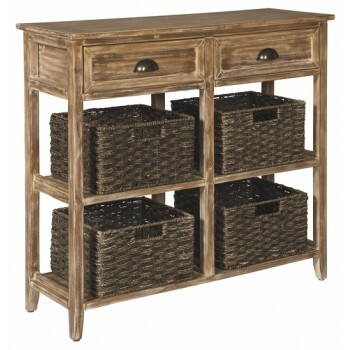 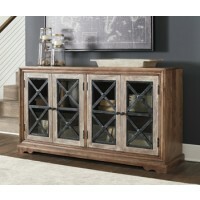 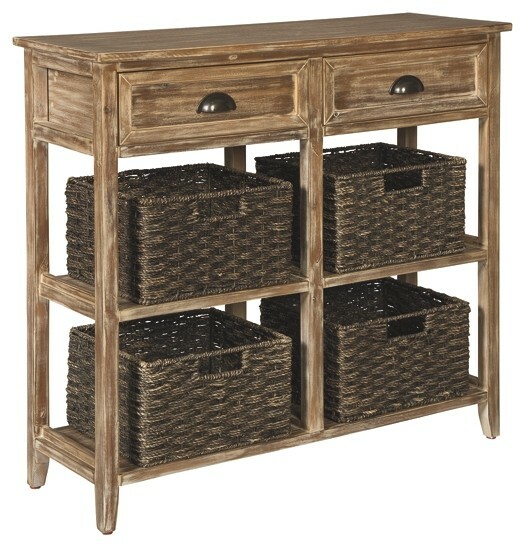 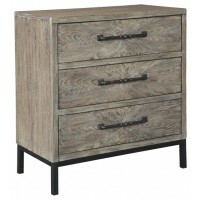 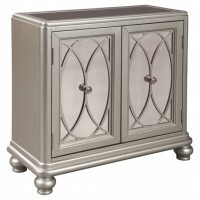 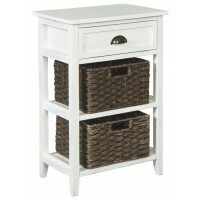 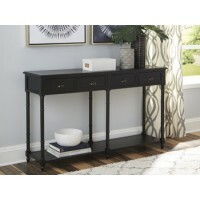 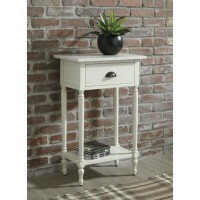 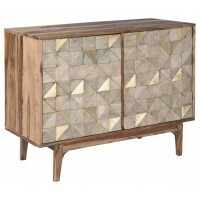 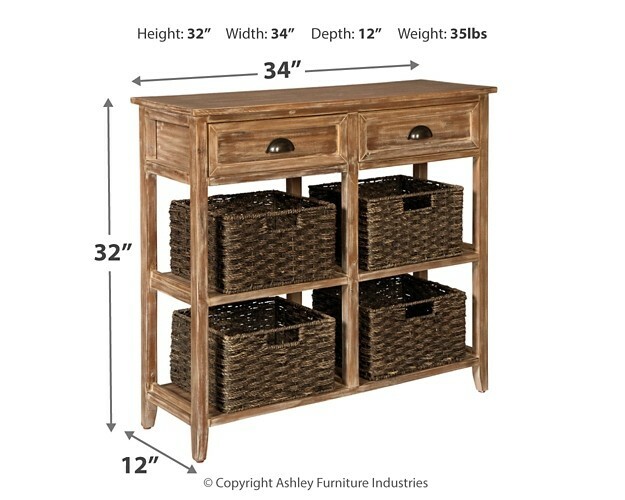 Make your modern farmhouse or cozy cottage that much quainter with this richly distressed console sofa table. 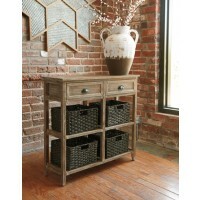 Four woven storage baskets enhance its casually cool sensibility, while cup pulls add a retro-chic touch. 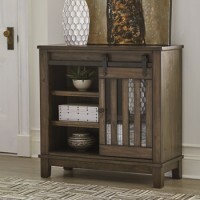 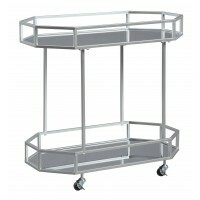 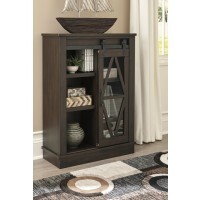 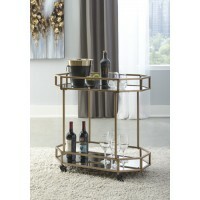 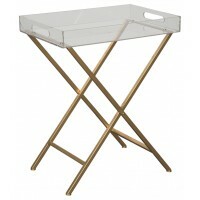 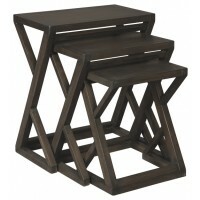 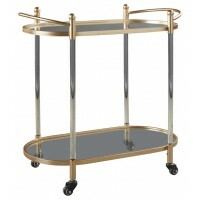 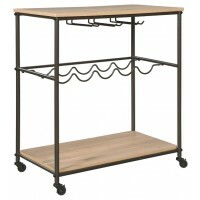 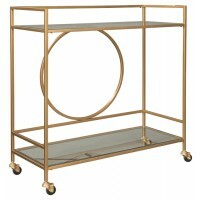 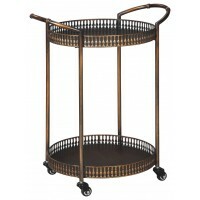 Whether placed in an entryway or living area, what a handy addition.